In yet another beautiful ode to Odissi, January Low celebrates her journey from girl to woman and mother through her multidisciplinary performance. A year after performing while seven months’ pregnant, in Bloom, January Low has decided to take the stage with another Odissi performance. In her previous endeavour, she partnered fellow Sutra Dance Theatre graduate, Rathimalar Govindarajoo, but in Dedicated she will dance alone. 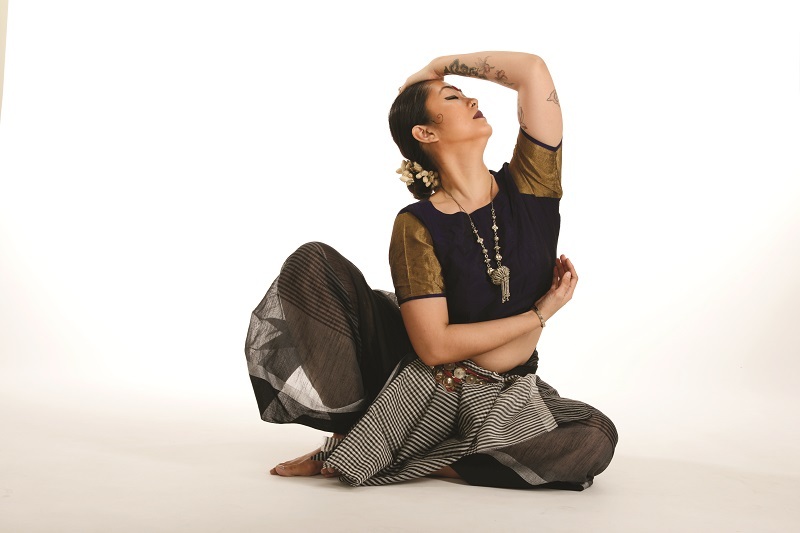 Low’s performance at the Damansara Performing Arts Centre (DPAC), will be a traditional Odissi programme with a contemporary twist — acclaimed theatre actor Ghafir Akbar will narrate her five pieces. Low has an equally strenuous but different practice regime for Dedicated. She follows a strict schedule, balancing motherhood and dancing. In the morning she sends her twins off to school, feeds her youngest, sets her down for a nap and then begins her training. She records her practice so that she can analyse, correct and perfect her movements. Low laments that without a rehearsal director or a dance partner, she has to rely on her own judgment. “I am my own second pair of eyes,” she quips. Ever the positive learner, she sees this challenge as a lesson because “it forces you and teaches you humility because you are criticising yourself. As you go on, you also realise the economy of your stamina because you do not want to burn out”. Low’s main techniques for combating nervousness are breathing and visualisation — she imagines her preferred outcome and tells herself that it will be alright. The dance pieces were choreographed by Sonali Mohapatra and the music was composed by her husband, the renowned flute player, Abhiram Nanda. 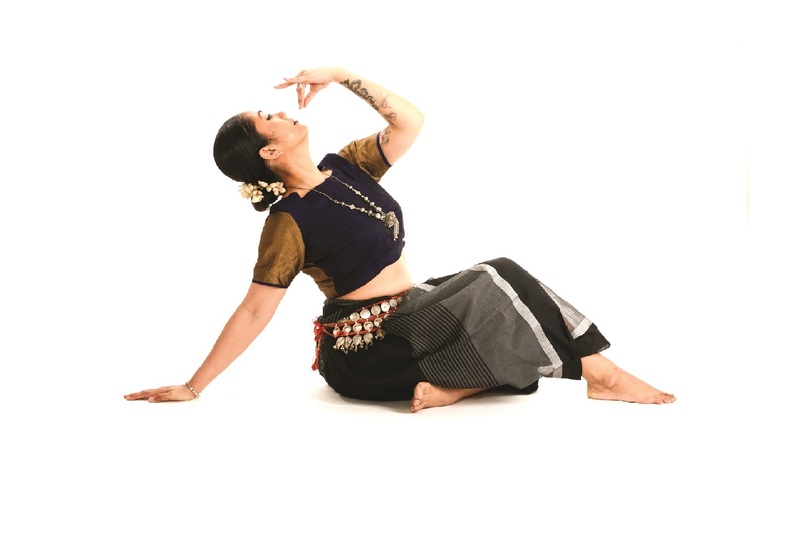 Low met Sonali in 2004, in Odisha, India, where she spent a month attending Odissi workshops. Three years ago, Low asked Sonali to choreograph certain items for her to learn and keep as her own, not anticipating that she would be producing a solo show in the future. “If you asked me then if I believed I would be doing a solo in December of 2018, I wouldn’t have believed it,” she laughs. Pinning down that message proved difficult, but she found inspiration in her own experiences. “Ramli would always tell us that the end of our dance career would be the day we get married,” she says, referring to her teacher and famed dance exponent Datuk Ramli Ibrahim, founder of Sutra Dance Theatre. Low explains that her relationship with her teacher went beyond teacher student — he became a secondary father figure, always passing on lessons and advice. “I think his biggest fear was to have someone stop me from dancing, a view he shares about marriage,” she says. Low cites Ramli’s “tough love” as the fuel that pushed her to continue dancing well after marriage and having children. Low also talks about how her dance upbringing was very patriarchal as she did not have a female figure to look up to. “From my dance guru, to the musicians we worked with, the other dance gurus whom we met in India, to the people who stitched our saree blouses, the artists who drew us, to the photographers — everyone that I was exposed to in my dance upbringing were men,” she observes. Remembering her journey after Sutra, Low reveals how she fell into an “existential crisis” as she had no idea who she was or where to go from that point in her life. She found solace with Rathimalar as they found themselves at the same crossroads. They began with short contemporary works, which eventually led to Bloom, but Low was still trying to find herself. “I guess I’ve always wanted to do a solo performance ... I had been sort of searching and trying to find out what I want to say and how I want to present myself as my own dancer, so to speak. “Dedicated has been a very long journey and a culmination of everything that has happened since I left Sutra. After becoming a wife, mother, coming to terms with my own identity, embracing all these roles that have now come into my life and sort of presenting that to the public,” she shares. The narration by Ghafir is an exciting collaboration, which grew from their yearly intellectual coffee sessions. The combination of Ghafir’s discussions and Low’s artistic intent and inspiration from her blog led to the focus of Dedicated on vulnerability and the exploration of “what makes the person behind the performer”. Ghafir will be on stage for his narration while Low dances. 'Dedicated' will be staged from Dec 22 to 24 at DPAC, Empire Damansara, Jalan PJU 8/8, Damansara Perdana, PJ. Tickets are RM55. Visit dpac.com.my to purchase.